No one is happy when their flight experiences a long delay or is even canceled. Each airline outlines on its website how it handles these events with its contract of carriage. Resolution depends on whether the delay or cancellation was in the airline’s control. But if you have a credit card that comes with trip delay or trip cancelation coverage, you could be covered no matter the circumstances of either event. We’ll show you how to get the proof you need for the top six U.S. airlines to submit a claim for a trip delay or cancellation. Once you have that in hand, we’ll outline what credit card trip delay or cancelation insurance will — and won’t — cover. You can’t file a claim with your credit card company without proof of a flight delay or cancellation. Each of the top U.S. airlines has different policies that will help you get it. For American Airlines, fill out this online form to request a verification letter be sent to you. Have your flight date and personal information, and it’ll look up the records to back you up. Delta Air Lines offers passengers a similar online verification form for proof of delayed or canceled trips. JetBlue asks passengers to fill out an online verification form. United Airlines is a little more informal. Email [email protected] with the names of all customers in your party, the confirmation number, flight numbers, dates of travel, phone contact and the email address or mailing address where you want the letter sent. Southwest asks that you email or call customer relations to get proof of delay or cancellation. You can reach customer relations at 214-932-0333 (press option No. 3). An agent will take your request for an email that documents your delay, but be prepared for long hold times on the number. You can contact Alaska Airlines via Twitter or Facebook, or by calling Customer Care at 800-654-5669. Each U.S. airline has a contract of carriage that outlines how it handles trip delays and cancelations. If it’s for a reason that’s in its control — such as mechanical or crew issues — you may be offered help, including a new flight, food and hotel vouchers. But if the delay is caused by an act of God — such as weather, air traffic control ground stops or labor actions — you’re on your own. If you have a credit card with trip delay insurance and you used that card to purchase your airline tickets, the reason why your flight was delayed doesn’t matter. You can use that insurance, usually up to $500 per ticket purchased, to cover things such as hotels, food, toiletries, medications and incidentals after a delay of between six and 12 hours, depending on the credit card. Terms and certain restrictions may apply. The insurance usually covers the cardholder, their spouse and dependent children younger than 22. It kicks in for events such as equipment failure, inclement weather, labor strikes and hijacking or skyjacking. You have up to 60 days after the delay to file a claim. A completed and signed claim form. An account receipt showing that the airfare was charged to your card or documentation showing that part of the purchase was made with the card. A copy of the ticket. A statement from the airline on the reasons why the trip was delayed. Copies of receipts for the claimed expenses. Any other documentation needed to substantiate the claim. Sometimes your flight is canceled or — because of circumstances beyond your control — you’re forced to cut your trip short. This could end up costing you thousands of dollars unless you carry a credit card that includes trip cancellation and trip interruption insurance as benefits. You must use the credit card that carries trip cancellation/trip interruption insurance to purchase your airline tickets in order to receive the outlined benefits. If your trip is canceled or cut short by sickness, severe weather and other covered situations, you and your immediate family members can be reimbursed up to $10,000 per trip for your prepaid, nonrefundable travel expenses, including fares, tours and hotels. A copy of the travel itinerary. Confirmation of the reason for the cancellation or interruption to support a covered loss. Copy of the credit card statement that shows the charge for prepaid travel arrangements for a canceled trip. Proof of expenses incurred because of trip Interruption. A copy of the cancellation or refund policies of the travel supplier. You must file a written claim notice within 20 days after the trip interruption or cancellation. Having a credit card that offers trip delay or cancellation insurance can be a godsend in case the worst happens, especially if it’s an event that’s out of an airline’s control, such as severe weather or air traffic control delays. Having trip delay insurance can mean the difference between sleeping in an airport or getting a good night’s sleep, along with a meal and other necessities for your comfort. Trip cancellation can help you recover thousands of dollars spent on things such as airfare, hotels and related travel. Check your card to see if you’re covered so you can mitigate the aftereffects of a bad trip. 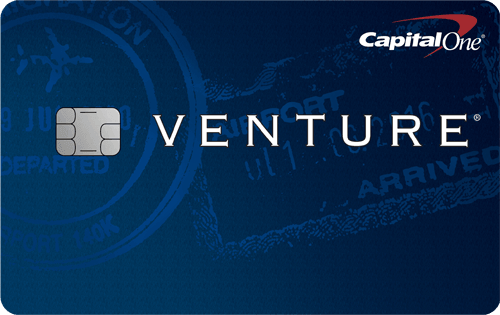 Read our full list of travel credit cards here. 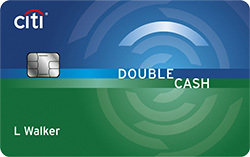 *The information related to the United℠ Explorer Card, United MileagePlus® Club Card, The Ritz-Carlton™ Credit Card, Marriott Rewards® Premier Plus Credit Card, and IHG® Rewards Club Premier Credit Card has been collected by CompareCards and has not been reviewed or provided by the issuer of this card prior to publication. Note that some of these offers and/or promotions may have since changed, expired, or are no longer available.